Halloween is the time when men dress like women, and women dress like naughty animals. By the end of the evening, your skin – still covered with thick makeup and dehydrated by equal parts alcohol and candy – becomes terrifying. We got painted up in as an ethereal, fairy princess and loved the look, but were shocked when after using our trusted soap and water, the red tones refused to budge. Take our advice to effectively undo the damage, skip a basic cleanser and go straight to your scrub. When that much makeup is worn, a deep cleansing is needed to remove the top layer of skin while simultaneously nourishing the cells below. 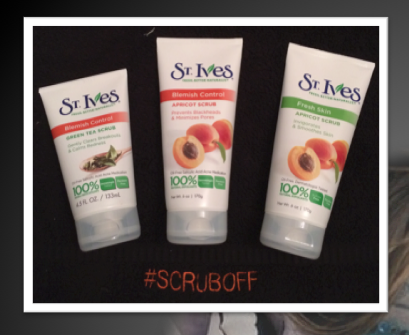 Our quick fix came in the form of St. Ives Blemish Control Green Tea Scrub. This powerful scrub is formulated with 100% natural derived exfoliants and skin-soothing green tea gently fights blemishes and reduce redness and irritation caused by acne. The result is clear and calm skin without any traces of that giant Halloween bash. For some extra fun, we are partnering with St. Ives for their National Scrub Off giveaway. 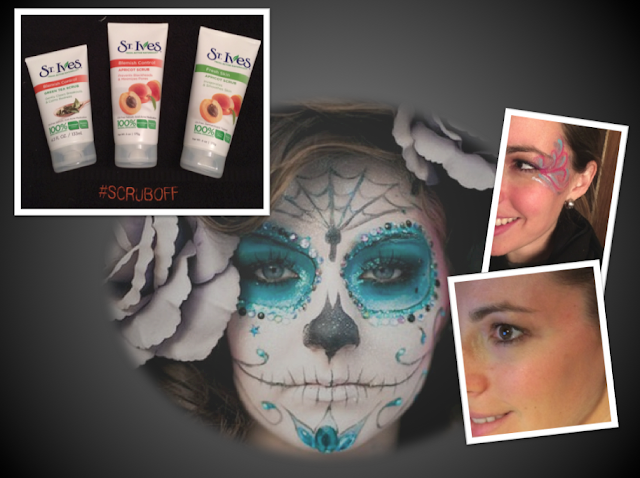 Between Oct. 31 and Nov. 1, simply Instagram any picture of yourself (this year or past) in avant-garde makeup and costumes and use the hashtag #ScrubOff (@StIvesSkin), and enter to win a #ScrubOff prize pack including St. Ives facial scrubs and a $250 gift card. Five winners will be selected – so you’ve got good odds. Enjoy! For more information visit about the contest, visit here and St. Ives.